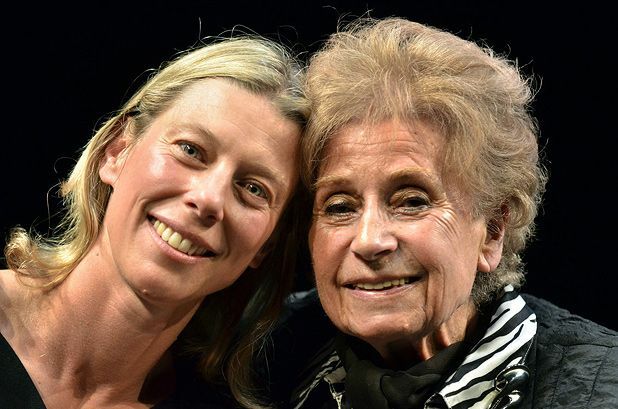 The Tin Ring is a story of hope that doesn't reach for sentimentality: Jane Arnfield's solo monologue presents selected episodes from the life of Zdenka Fantlova, holocaust survivor, with an admirably sparse aesthetic. Adapted from Fantlova's own memoir, it follows her from persecution in Czechoslovakia through concentration camps to eventual salvation: Arnfield inhabits her, from accent to movement, conjuring her as a hopeful young woman and damaged victim. Fantlova's message – optimistic but realistic about the worth of suffering – is clearly portrayed: Arnfield puts her skill at the service of the text. The details are sadly familiar: the depravations of Belsen, the selection for execution at Auschwitz. However, it is Fantlova's reintegration into life - as a secretary in Sweden - that allow an ending positive yet poignant. The strength of her personality is a constant, as well as her charm and energy. Arnfield is academic and performer, and the intention of The Tin Ring is to interpret Fantlova's story as a testimony, to bring back the emotion that can be lost in either text or legal description. Certainly, there is a depth to this witnessing of the holocaust that is neither the emotive shock of familiar images nor the dry analysis of history. The refusal of provocative melodrama is refreshing and allows the experiences to speak for themselves.